Different Christian Churches operate with different structure, all seeking to be faithful to God through their governance. 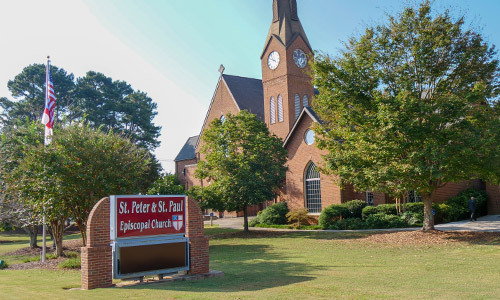 Here’s a quick overview of how decision making in the Episcopal Church is structured, and a little about how this works at St. Peter & St. Paul. For an in-depth study of how the church works, click here. For more info on how the church works well, and for other resources, see the Leadership Development Archive. The Episcopal Church follows the ancient precedent of three orders of ministry: Bishops, Priests and Deacons. Bishops are overseers of the church in a given area called a diocese. The Diocese is the basic unit of the church. Priests are under the Bishop’s authority, delegated for work in the local communities of the diocese. Deacons are under more direct oversight by the bishop, though they are often assigned to work in local communities. Deacons have a particular ministry of service, addressing the needs of the world. The Local Church: the Parish. The lead priest in a parish usually has the title “Rector.” Other clergy might be called “Associate Rector” or “Assistant Rector.” In the Episcopal Church, authority in the local parish is shared by the Rector and the Vestry. The Vestry is the board of lay leaders elected by the members in good standing in the parish at the annual meeting. Our annual meeting is in November. The Rector has authority over the spiritual life of the church—the worship, music and teaching of the church. Accordingly, the Rector has authority over the staff and the use of the building. The Rector presides at meetings, and serves with tenure. The Vestry has authority over the temporal affairs of the church, chiefly the raising and spending of money and the maintenance of the property. When there is a rector vacancy, the vestry elects the Rector for the bishop’s approval. The healthiest parishes have Rectors and Vestries that work together, seeing themselves as leaders of Christian parish ministry. They understand their separate responsibilities, but they communicate and work together to serve God faithfully. Vestries usually oversee ministry groups to support worship, education, pastoral care, buildings & grounds, finance, etc. At St. Peter & St. Paul, these groups are called Forums. Each Forum has a Forum Lead and a Vestry Liaison. Most Forums are made up of individual teams or committees that focus on one area of ministry, such as Children’s Ministry within Education. See the “Ministries” Section of our website for more information. Each year, there is a Council (or “convention” in some cases) that includes all the clergy of the diocese, and lay representatives of each parish. When there is a vacancy in the office of bishop, this council elects the Bishop. Council also passes a budget and elects lay leaders for an Executive Committee and Standing Committee (bishop’s council of advice), and other roles. They also pass resolutions on issues facing the church, and maintain the Diocesan Canons (church laws). We are in the Diocese of Atlanta. 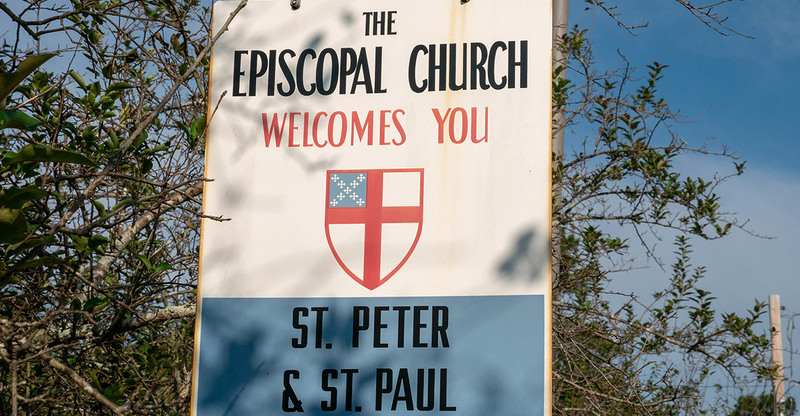 The Episcopal Church is part of the Anglican Communion, churches from around the world related to the Church of England in heritage, theology and practice. There is no overarching law for the Communion, though there is leadership that strives (sometimes unsuccessfully) to maintain our fellowship among Anglican churches. This leadership includes the Archbishop of Canterbury, the Primates (chief bishops of each national province), The Lambeth Conference of Bishops (a gathering of all Anglican bishops, usually every ten years), and the Anglican Consultative Council (theologians that reflect on current issues for the communion).